compLexity kept destroying their opponents as BIG lass 16:8 on Nuke. They are now first team to have 3:0 score which grants them LEGENDS status and few free days to prepare for knockout phase. compLexity has shown that it’s very prepared for every and any opponent. First rounds vs. BIG(CT) on Nuke went to compLexity(T) and German side needed 8 rounds to get on board. Huge lead was somewhat reduced as BIG managed to compensate on compLexity errors and get half to decent 9:6 in favor of American team. 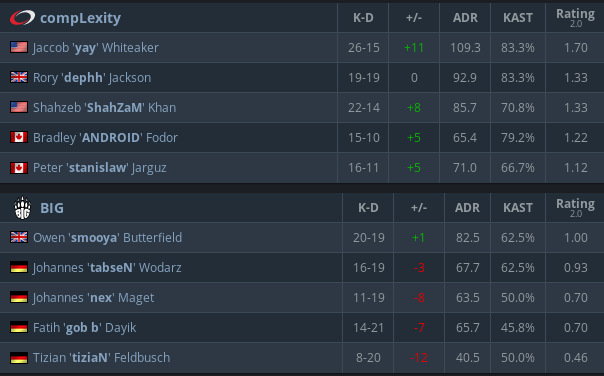 BIG started bad at second half by taking only 2 rounds out of 6 as compLexity cement their huge lead and easily get to 14:8 score. Jaccob “yay” Whiteaker and Shahzeb “ShahZaM” Khan were great for compLexity as BIG‘s attack fell a part. 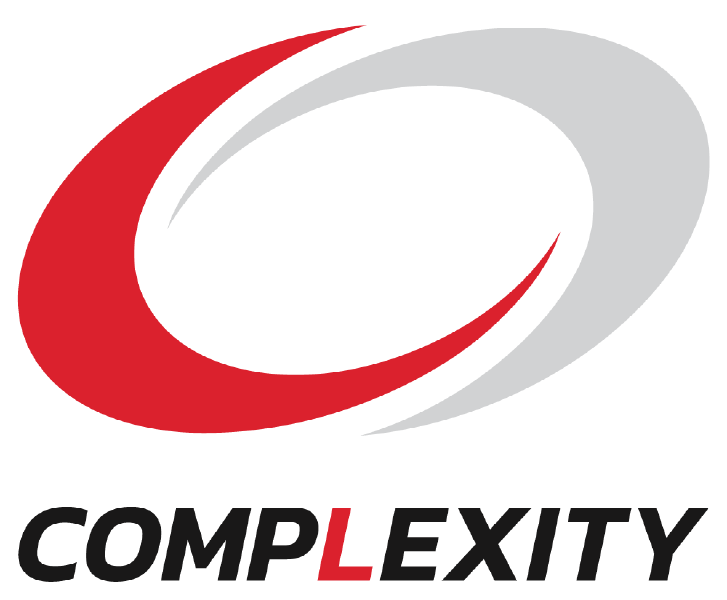 It looked too easy for compLexity as they took two more remaining rounds to close out the game. compLexity is first team to advance with perfect score 3:0 while BIG is now 2:1 and will keep fighting for LEGENDS spot.